BIOSTAR will be presenting its latest gaming, crypto mining, IPC and smart home solutions to the upcoming COMPUTEX 2018 convention. 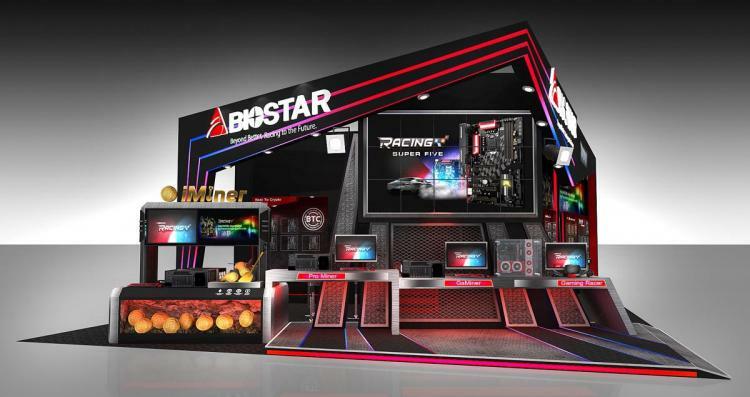 The BIOSTAR gaming products include the third-generation RACING series motherboard for both the Intel and AMD platforms namely the Intel 300 Series and AMD X470 motherboards. BIOSTAR will also be presenting its comprehensive crypto mining solutions including the Mining Series motherboards, Mining Series graphics cards and the new iMiner Series all-in-one crypto mining solutions. 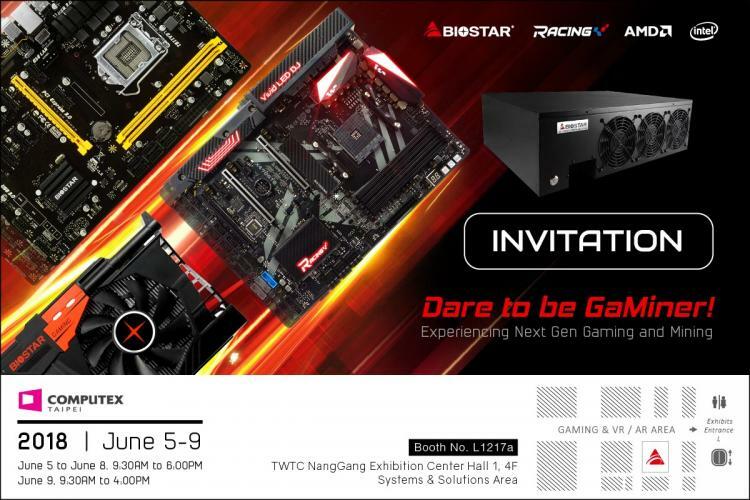 BIOSTAR will also be showcasing its line-up of graphics cards, NVMe SSD solutions, Smart Home solutions and Industrial PC solutions. BIOSTAR, being one of the top provider of crypto mining and blockchain solutions, will be presenting the newest BTC motherboards that’s powered by the Intel 300 Series chipset for the 8th generation Intel Core processors and crypto mining related accessories like the crypto mining card. The BIOSTAR BTC motherboard line-up offer solutions for both novice and expert miners. BIOSTAR will also include its Smart Home solutions at the COMPUTEX 2018, smart products for homes to keep you connected and updated with the latest technologies available today. BIOSTAR will also present its powerful and versatile IPC solutions at the convention. Lastly, BIOSTAR will unveil its new high-speed M.2 NVMe solid-state drive and new gaming graphics cards.